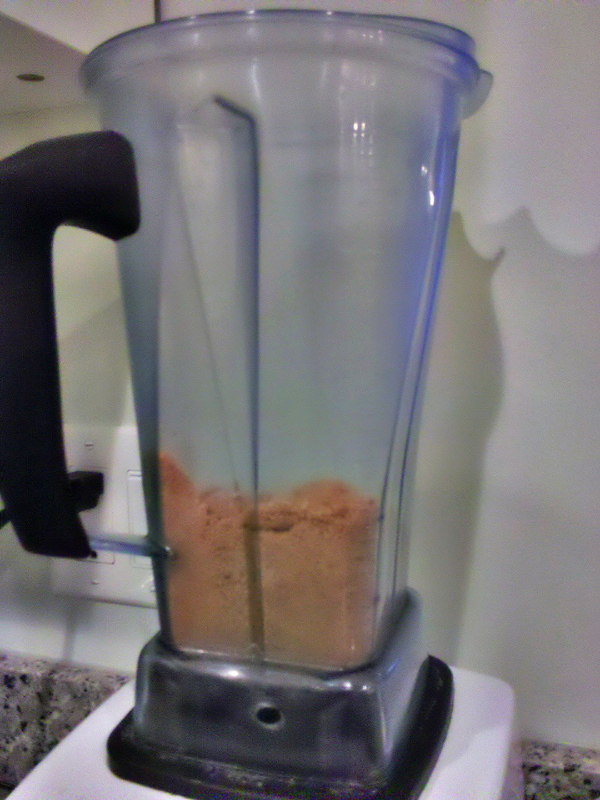 In a high speed blender such as Vitamix add the gingersnaps and blend into fine crumbs. Then add the butter, sugar and 1/2 teaspoon salt and blend until moistened. Press the gingersnap mixture into bottom and up sides of a 9-inch pie plate. Place pie plate on a baking sheet and bake 10 minutes. Remove from oven, let cool. After rinsing out your high-speed blender, add the eggs, condensed milk, lemon zest and juice, 1/2 teaspoon salt and blend until creamy. Pour the mixture into the crust and bake until set 18 to 20 minutes. Let cool and refrigerate minimum 2 hours. WHIPPED CREAM: In your high-speed blender, whip the cream and confectioners’ sugar on a low setting until soft peaks form 1 to 1-1/2 minutes. WHIPPED CREAM ALTERNATIVE: Buy it ready-made – which is what I did. 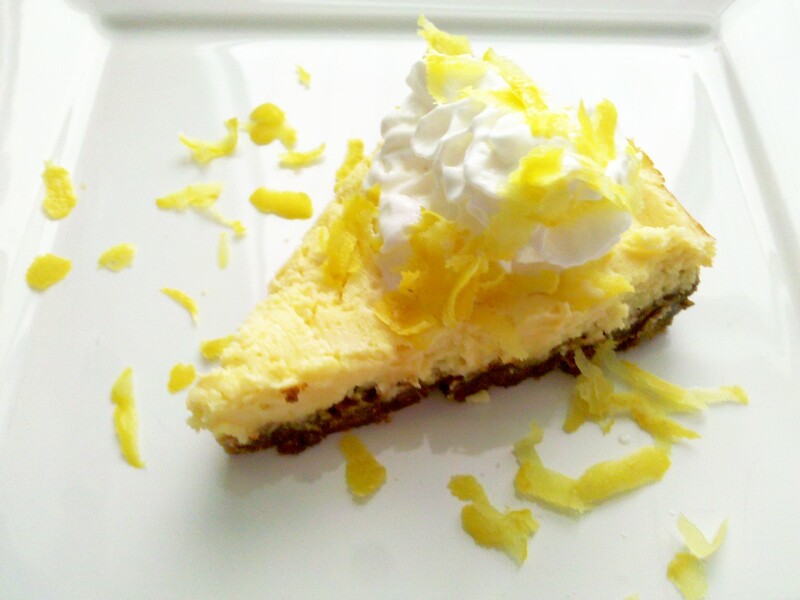 Serve pie topped with cream and lemon zest. and by the way I am sharing it on FB as well as the mkt blog! Yum, I’ll be back. Hi, thank you for the mention! We just started shopping at our local farmer’s market only 4 weeks ago to make our daily juice smoothies. 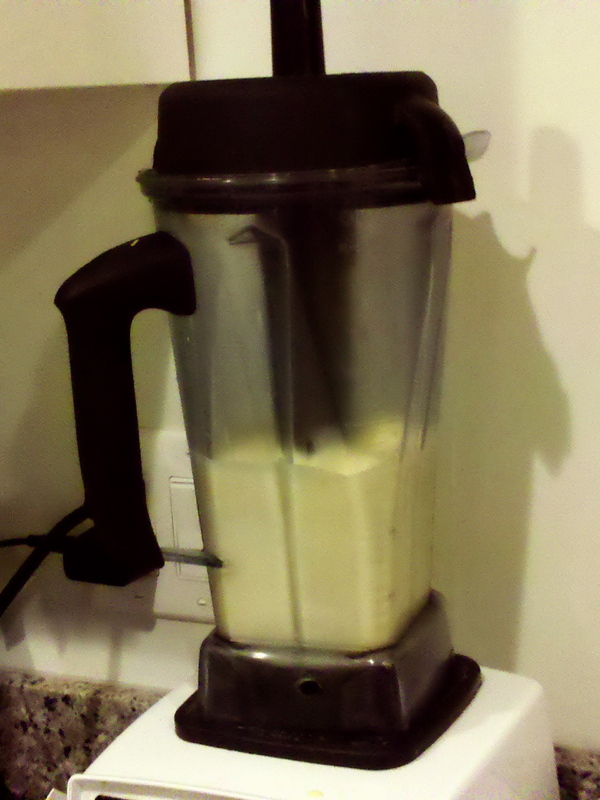 My husband is losing weight with the smoothie diet. I’m not but I enjoy the smoothies just the same. Great blog! Your pie is a big hit on the market blog. Thanks for the compliment on the blog. Markets are fun, great local food as well as a personal friendly touch. Congrats to your husband! ( Men tend to lose weight faster than women! ) Keep up with the smoothies! 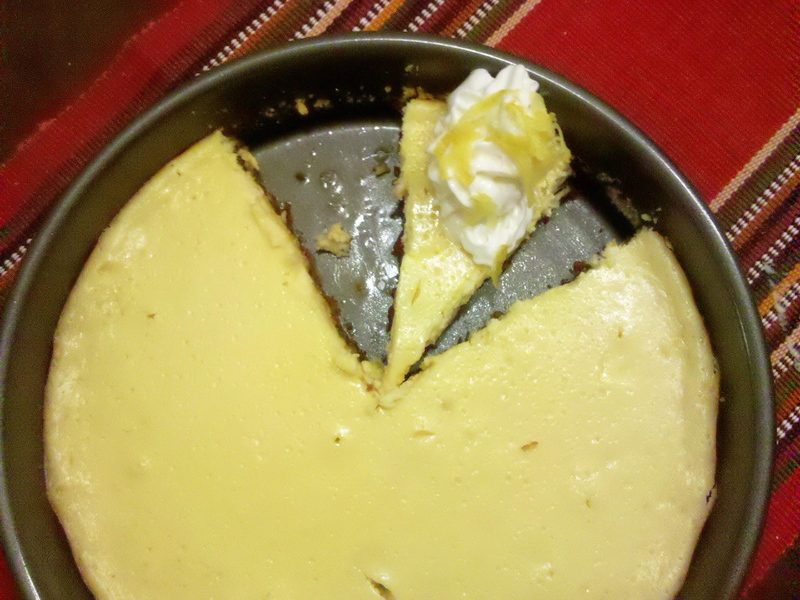 marvelous pie! Thanks for checking out our market blog! Great idea with the gingersnap crust! I’m sure it gives it a lil bit of spice that makes it great. Thanks, dessertduchess! (Love your blog name.) I need to make this again before summer is over. I’m going to try and make this gluten free and dairy free! Sounds delicious! Sounds great! I’m not familiar with gluten free but I do see it at stores and food blogs all the time. What will you substitute dairy with? Probably soy. You can buy soy creamer, and getting dairy free margarine is pretty easy! Thanks! it’s super easy and delish. That looks super easy and very efficient. Tasty too! I love the idea of the gingersnaps as the crust. gingersnaps gave it a crunchy crust. super easy and gone in no time. Thanks for the nice compliment, Dave. And nice to see you blogging again. Love your latest ceviche recipe. I want some! this looks delicious. Super easy to make. All gone in no time.